Zeostart3 0.25 ml per day Sponge power 3 drops every day. 2 x per week 3ml Coralsnow Plus for reducing phosphate. It contains a lot of useful information and will be helpful to get a feeling for the dosage. 1. Place 0.6 liter zeovit in a Zeo Reactor. Water flow around 240 liters per hour. Connect the reactor pump to a clock timer and run the reactor pump with a 3 hour on / 3 hour off / 3 hour on interval. Please make sure the zeolite is not exposed to air while the pump is switched off. Clean the material daily. Leave the zeolite 4 weeks in the filter until you do the first change out. This is the first changing interval, others could be lengthen to 6 – 8 weeks. 2. Place 0.25 liters activated carbon in a filter sock and keep it in a passive water flow in your sump, changed every 30 days. Knead the carbon daily to keep the surface clean. Most users get perfect results with korallenzucht carbon. 3. Dose 3 drops ZeoBac daily for the first 2 weeks, flowed by a 2 x weekly dosage of 3 drops each. Dose 0.25 ml ZeoStart 2 x daily (morning & evening). Dose those in front of the Zeo reactor pump while it is switched on. 4. As you already own SpongePower you can dose 3 drops every other day additional. CoralSnow Plus can be dosed also if you like to as you have planned. Later on you could use the additional products for coral coloration. Adjust your skimmer to skim wet, keeping it clean to export as much as possible. 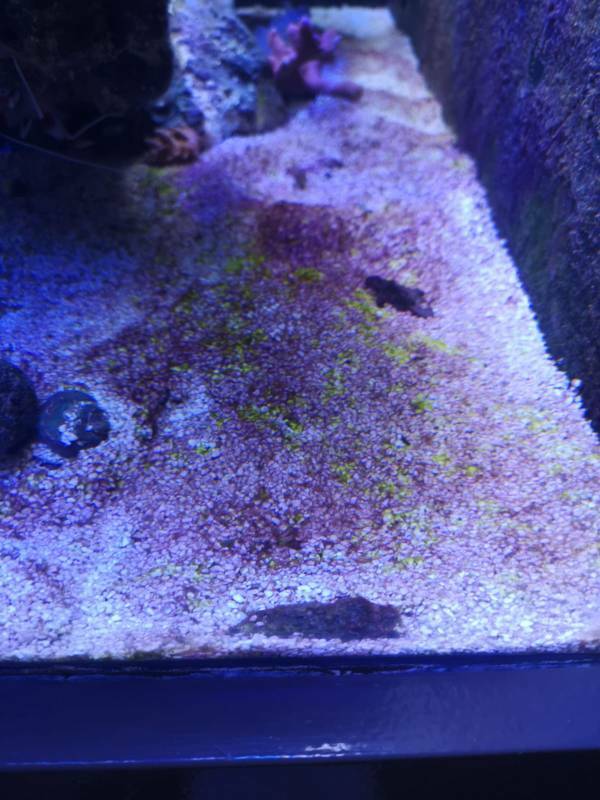 Do a weekly water change of 5 – 10 % with a good salt. For a nutrient poor environment K+ (potassium) seems to be a important element. I would recommend you to get a test kit for this element also, posting your results. Not sure how deep your sand bed is but usually it works very well if the sand bed has a depth of 3 – 5 cm. This is a start-up dosage which might have to be adjusted later. If I weigh 1 bag of 1L zeolite, it is 1280 grams. 0.6L corresponds to 768 grams. If I put that in a measuring cup I get to 0.8. Do I have to keep 0.6 of the measuring cup or my calculation? And need i shake it already? If you can recommend different sizes of ZeoVit materials, a little more, a little less, it doesn't matter. And make sure that the ZeoVit material is soaked into the water when the reactor is turned off. The material is a natural material so the weight can differ. If you like to be 100% sure it is the best to use the volume or you do weight each bag. Just try to mix the different sizes as good as possible. It has been about 3 weeks since the last post. It goes well, but I am really bothered by red cyano. Used cyanoclean since yesterday in combination with coral snow plus. No3 has finally fallen to 0.25 and po4 is 0.034. 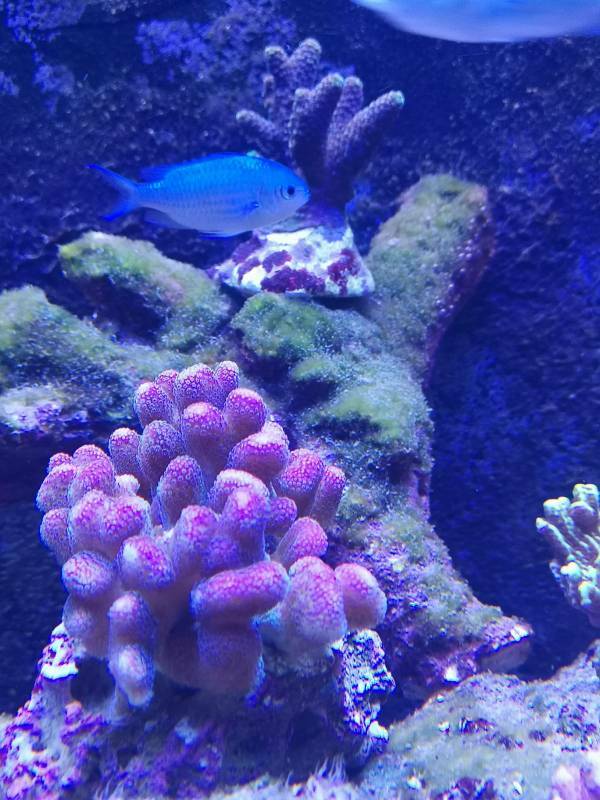 Last Friday, picked up the corals that were in someone else's tank, there are not many more, but luckily there is something. 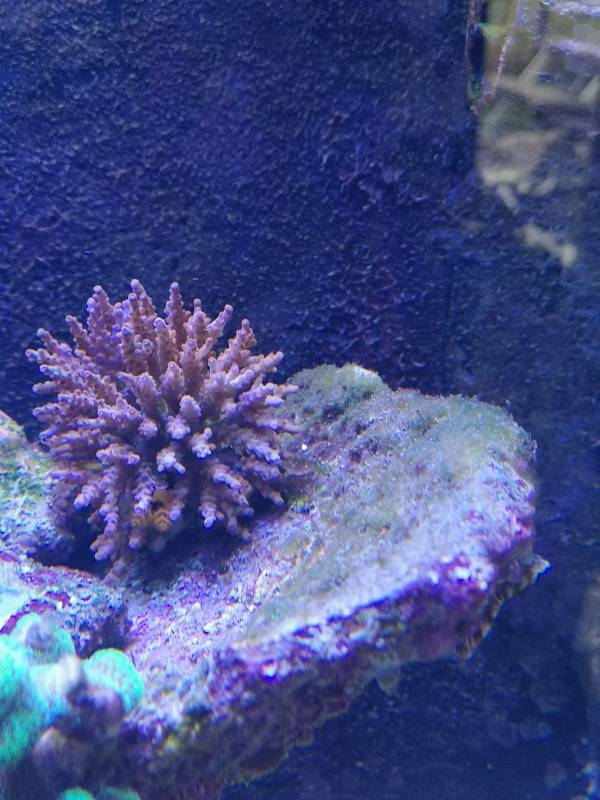 The corals are all still dark and hardly PE, except for the pink stylo because it is new. They have had a major blow so it will take some time before the color returns. And every tip is welcome !! Hello Dutch010. What is your current full dose, in addition to Zeo products, do you add other products? Since the last time, 2 weeks have passed, is the reactor still in the 3hr phase? Next week is week 4, then I have to change the zeovit i guess. If you can, you can try to drop Bac, Start3, into front of the reactor inlet. Adjust the Skimmer to wet, keep it clean and export as much as possible. Add water with salt and change water 5-10% per week. What kind of animale do jou suggest? What donyou mean with siphon sans beds? What do you suggest for animals? Sorry, I always misinterpret it, meaning - do more siphoning on the sand bed yourself, scrape the algae on the "separator", and use a toothbrush to remove the algae from the Live rock. This weekend I'm going to do the first change with the zeovit, the dosage is going well, the flow is 350 L per hour 24/7. Nitrate is not measurable and phosphate has risen to 0.07 because I am now completely finished with rowaphos. Does that mean that the zeovit cannot keep the phosphate content low? About 2 weeks (10 days after Zeo Bac), if the coral is healthy, switch the continuous flow, the water flow is about 240 liters per hour. Adjust your Skimmer to get wet, keep it clean and export as much as possible. Add water with salt and change water 5-10% per week. This is a good opportunity to work with Zeo Coral Snow 6ml when you are running ZeoBac x10 days.